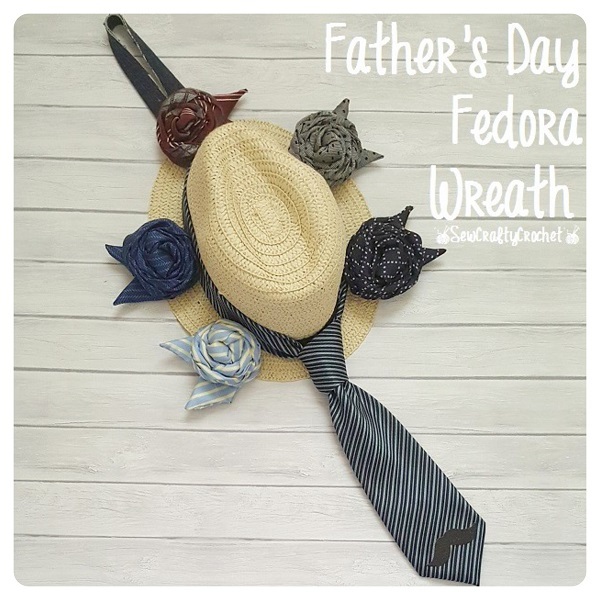 One year for Father's Day, I created a "wreath" using a fedora and ties purchased from the Dollar Tree. 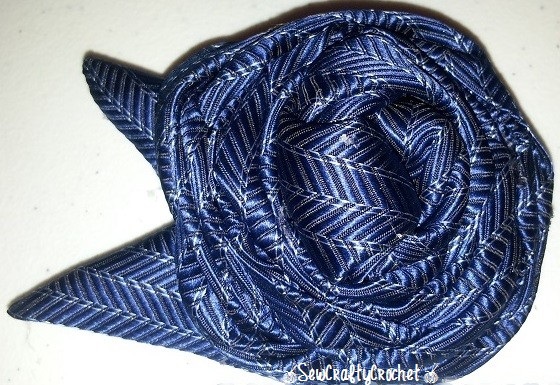 Originally, I planned to make a wreath using ties to hang on our front door for Father's Day. So I went to the Dollar Tree in search of some ties, and I found them, but I also found a fedora. My husband loves fedoras. He has one, and he calls it his old man hat. So I decided to use the ties to make flowers to decorate the hat, and to hang the hat on the door like a wreath. 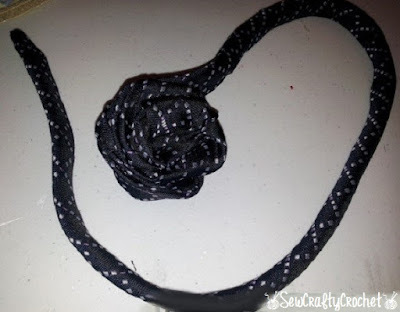 To make the flowers, I cut the large end off the tie. I will use the large portion that I cut off later to make "leaves." I tied a knot in the end that I cut. 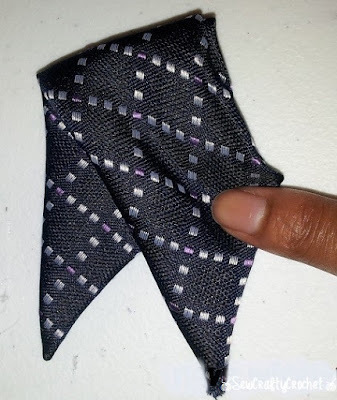 I folded the rest of the tie in half and glued the sides together. 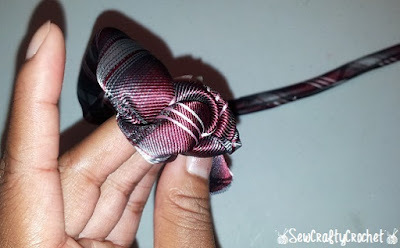 I held the end with the knot and twists and wrapped the rest of the tie around the knot and glued it in place. Remember the end of the tie that I cut off??? 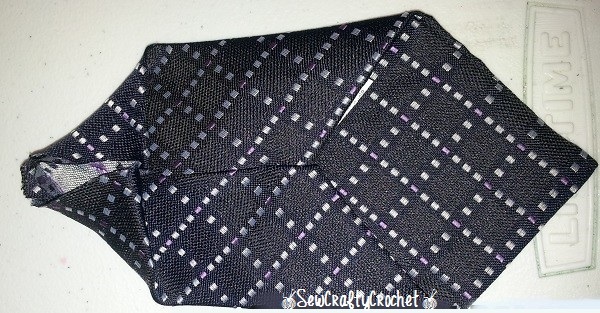 I folded the side that I cut to make a pointy shape like the other end of the tie and glued it. Then I folded the piece in half and glued. I glued the rosette onto the "leaves." 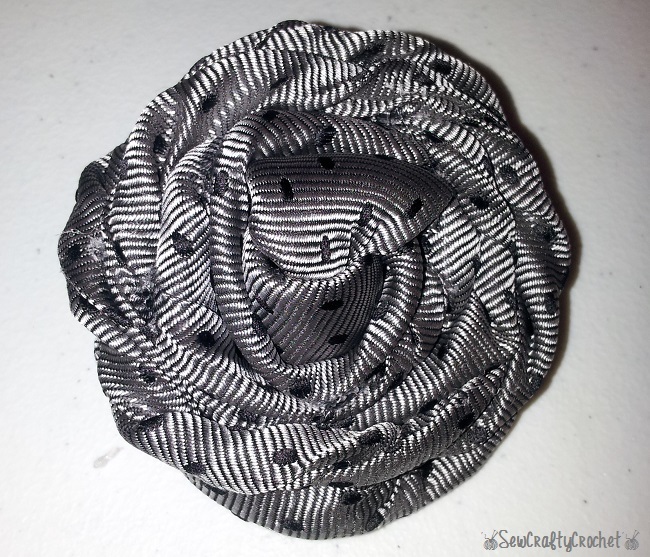 I glued the rosettes around the brim of the hat. I also attached a strip of denim to the top of the hat to hang it from. I also glued a glitter mustache to the bottom of the tie hanging from the hat. My husband really liked the mustache. It made him laugh. 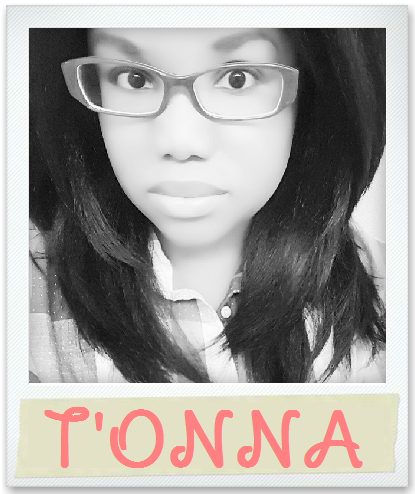 I love your tie flowers, T'onna! And adding them to the fedora hat is adorable! What a creative idea for a Father's Day wreath! So very creative. I love your tie rosettes! 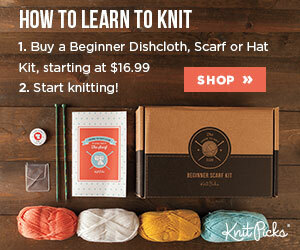 At first I thought you were making an alligator wreath. Love this. I looked at those hats a few days ago but didn't have any ideas at the time for how to use one. 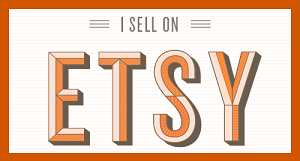 Now I do! 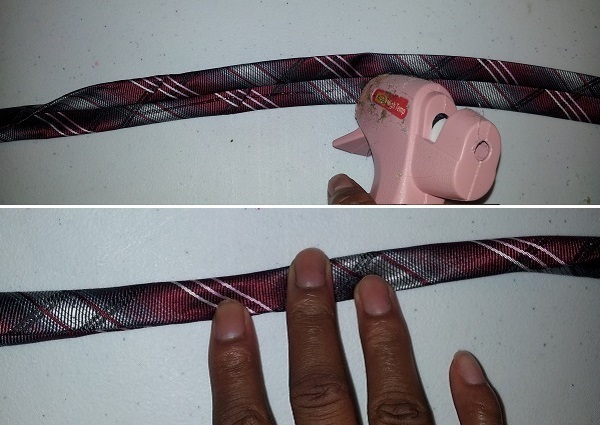 This is such a creative use of dollar store ties! What a fun way to dress up your door for Father's Day. Love it! This idea is so cute with Fathers Day around the corner. Those rosettes look great made out of ties. This is a wonderfully creative wreath! 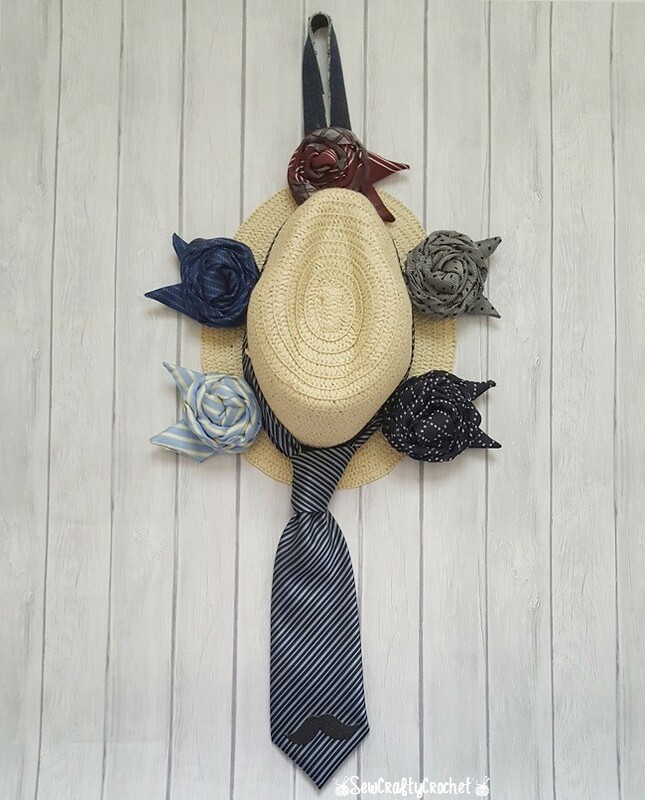 The flowers you made from the ties are adorable and they look great on the hat. Perfect for Father's Day :) Pinning! What a great idea! 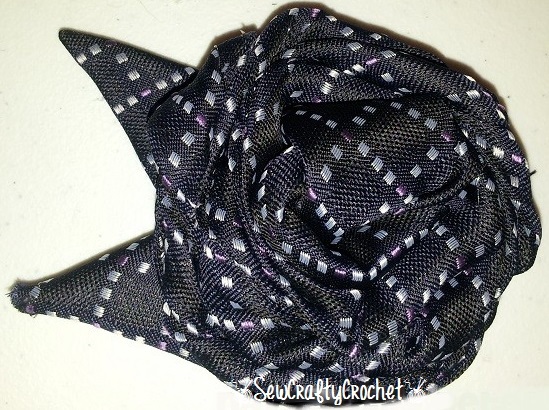 I love how you made rosettes out of the ties! 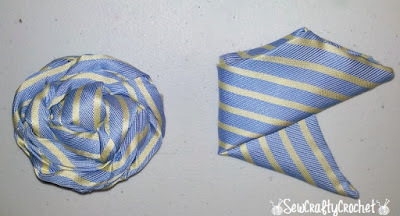 Such a cute idea; I love the tie roses. Pinned. I'm so impressed with this idea and Im really wanting to make time to copy it. So much fun. Thanks, Michele! This wreath was so much fun to create! 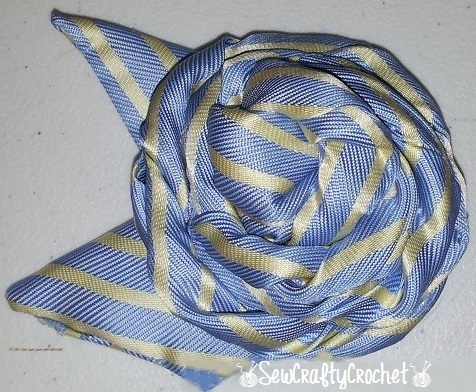 The rosettes made from ties are just too cute, and I had no idea ties were sold at a dollar store! I will definitely look for them in the future to make rosettes! What a lovely idea. 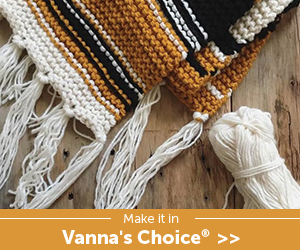 It looks great :) Thanks for sharing at Creative Mondays last week. Hope you can join us today. What?! Your dollar store had ties?! This is such a fun take on a Father's Day craft and I can see this as a great decoration for any dad party. Pinned.